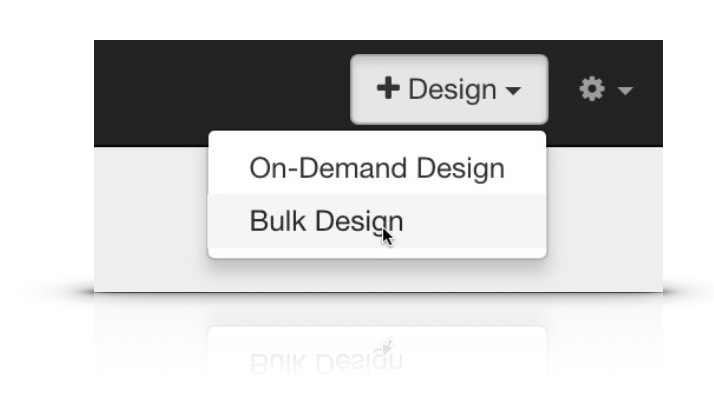 To place your Screen Print order with Amplifier, click the Designs button on the left navigation then click "Bulk Design". 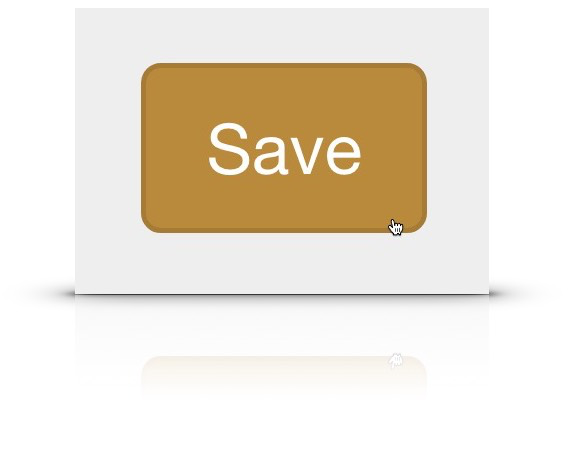 First choose the Category, Type, Brand, Style & Color. 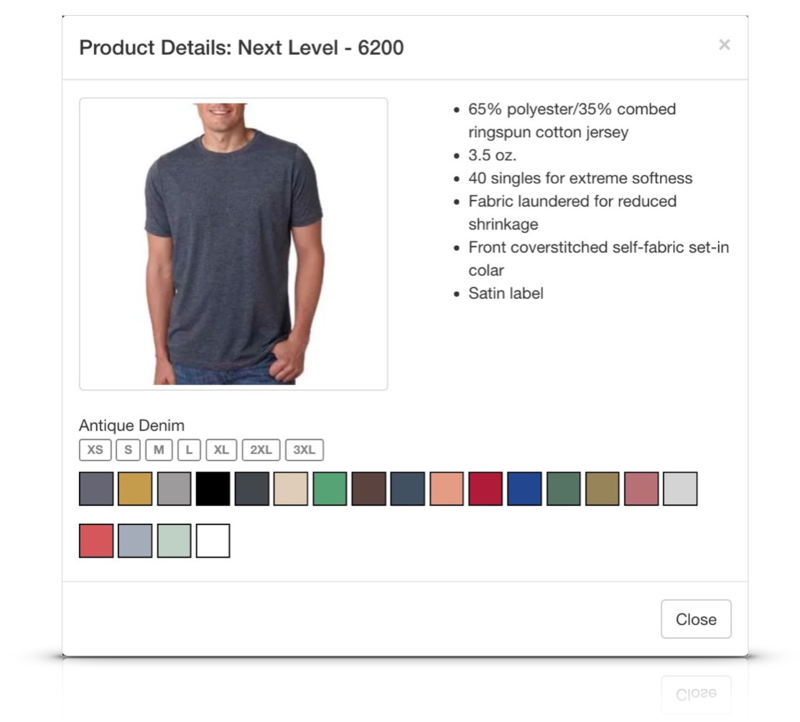 You'll notice that there are thousands of Blanks to choose from and manufacturer information is loaded for virtually every available blank. 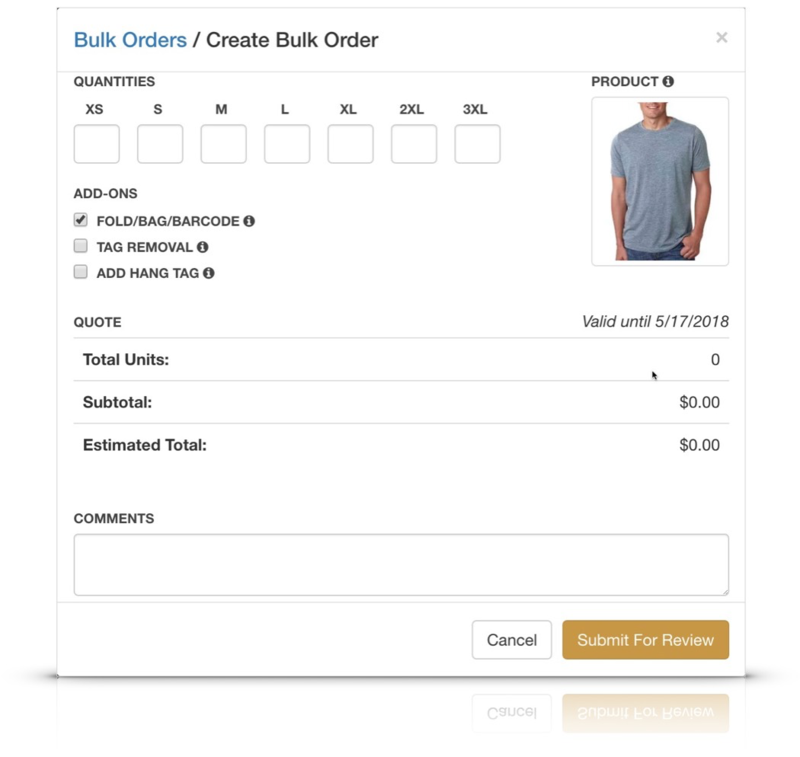 Click Details to show Manufacturer's specifications for the Blank you've selected. 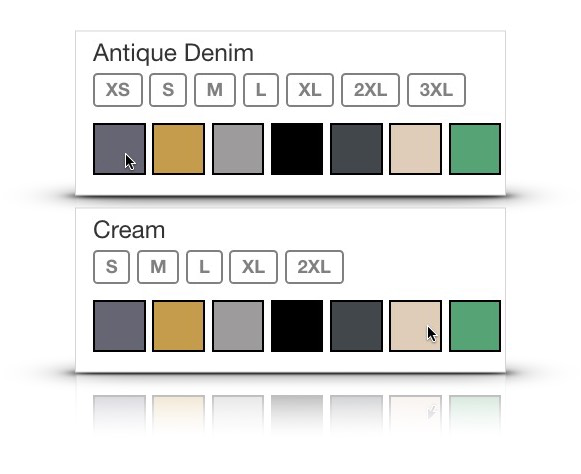 Note that due to Blank availability, some Colors are not available in the Same Sizes as others. 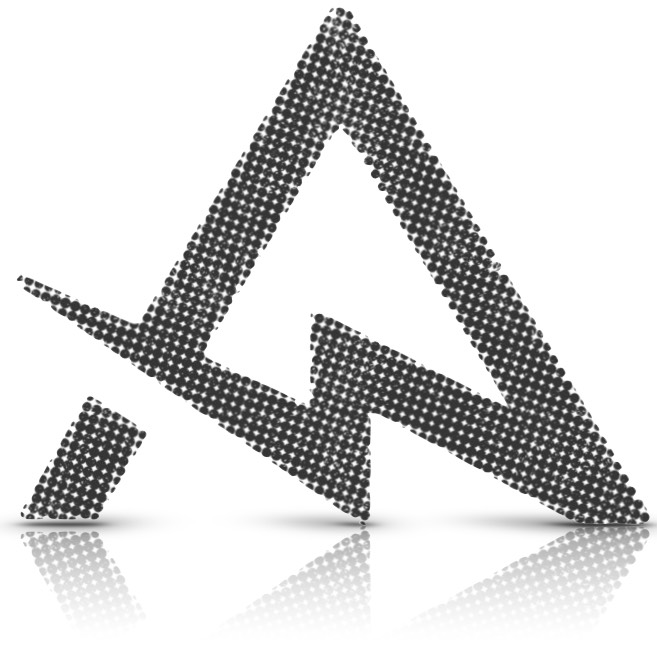 Next Name your Bulk Design and if you have any comments about the design for our art team, include them here. 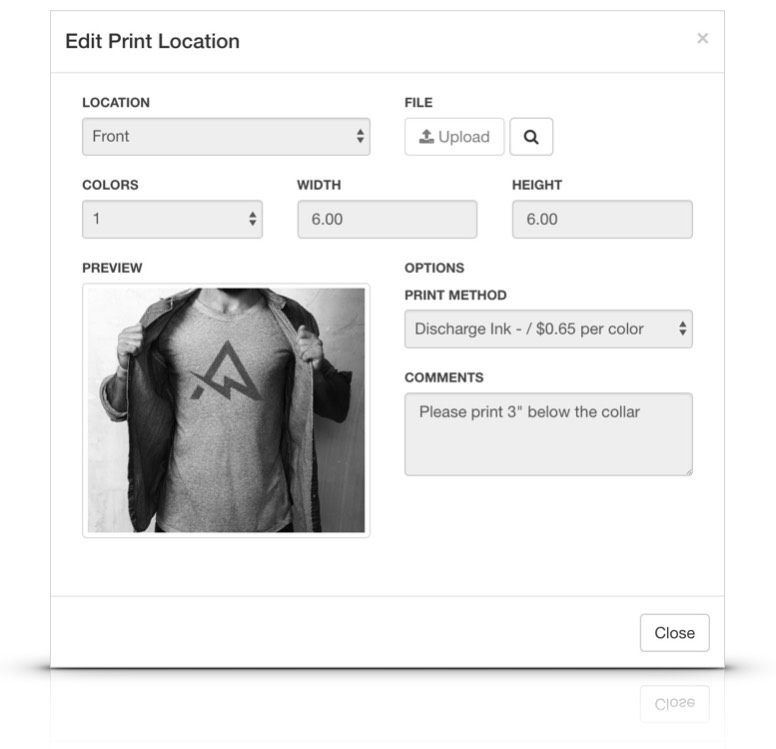 Now add your first Print Location to this Design. 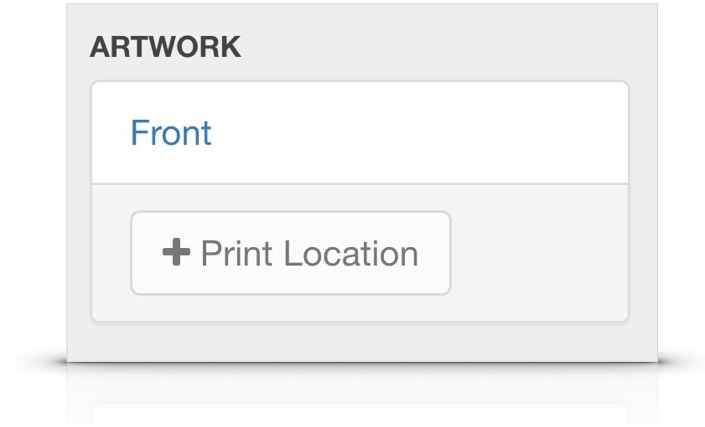 Under the Add Print Location section, Supply us with the details about this particular location. 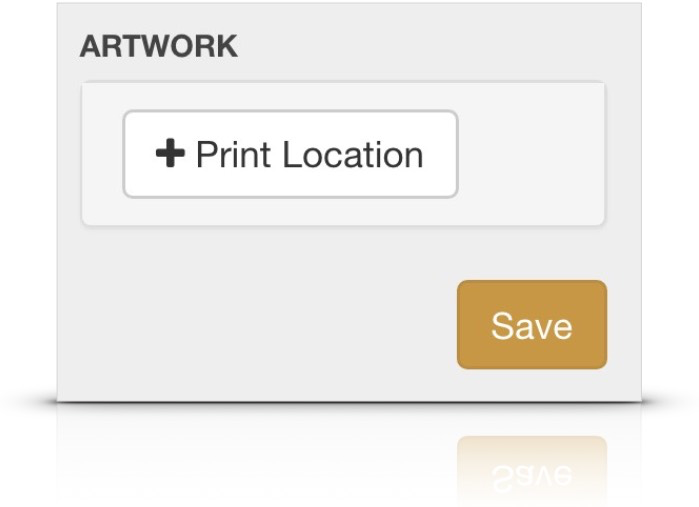 Once you provide the details of your job, the Print Location will be added in the Design Master. This example shows a 1 color front print that is 6" x 6" and printed in Discharge ink. 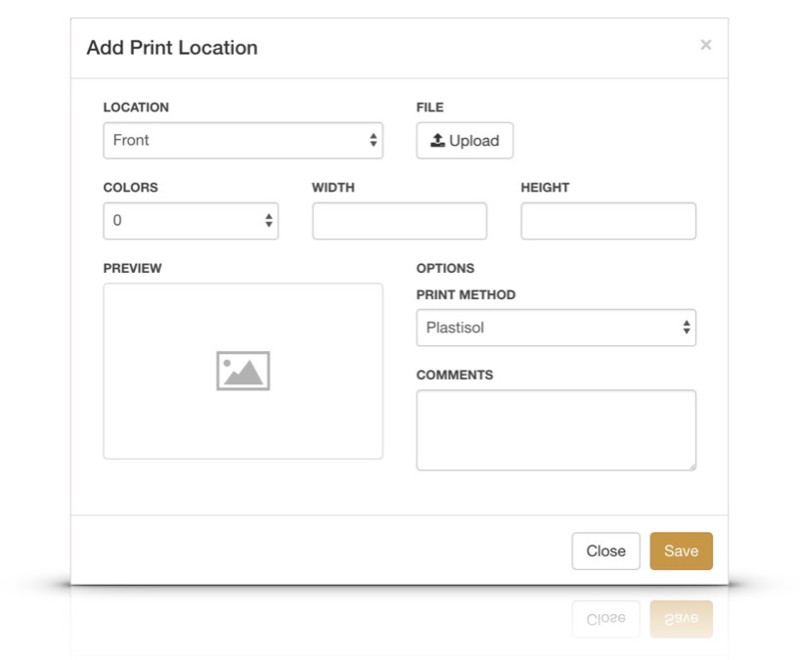 Additional instructions can be added in comments "Please print 3" below the collar"
Upload Product Artwork under the File option. We ask for the highest resolution artwork you have, ideally it is Vector-based artwork in Adobe Illustrator or PDF format ( Adobe Photoshop, PNG, TIFF and other formats are acceptable but may necessitate additional artwork manipulation and subject to separate Art fees.) 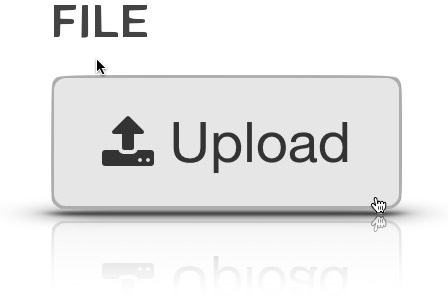 Here's what our example EPS file looks like. It's a high resolution distresses half-tone. 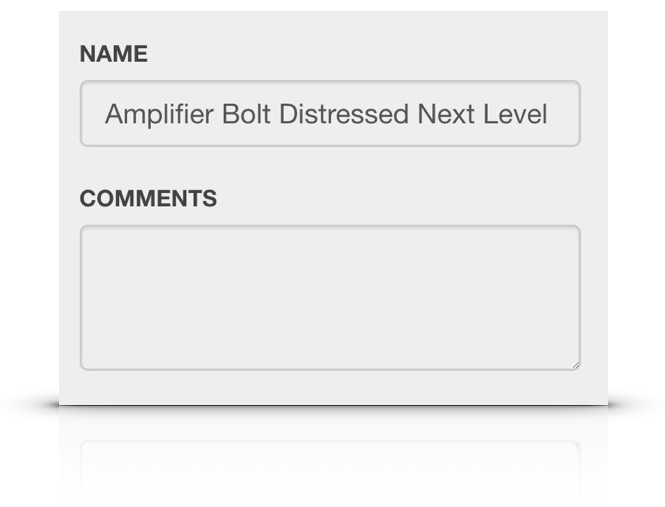 Additionally, if you have job related specific instructions, please supply them in the COMMENTS field. Lastly, we strongly recommend you supply us with a Preview Image of the Shirt as you wish it to be printed. Confusion can be eliminated when you show us what you want it to look like. 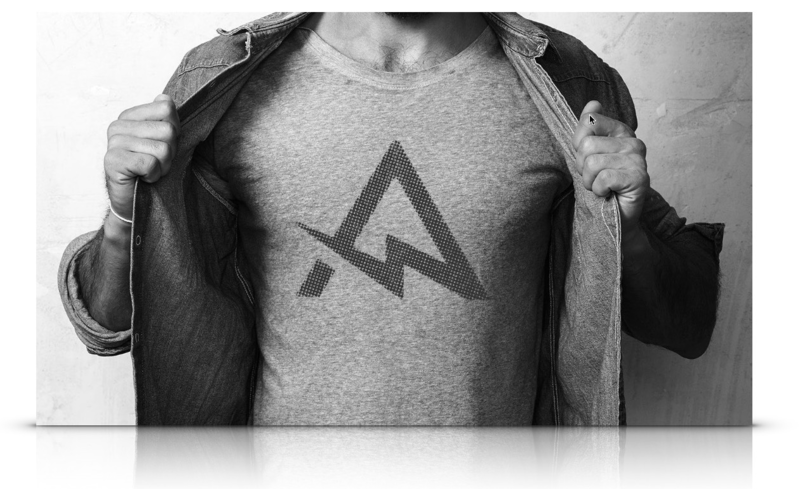 Here is a mockup we supplied of our shirt. When you have finished adding locations, Save your Design. 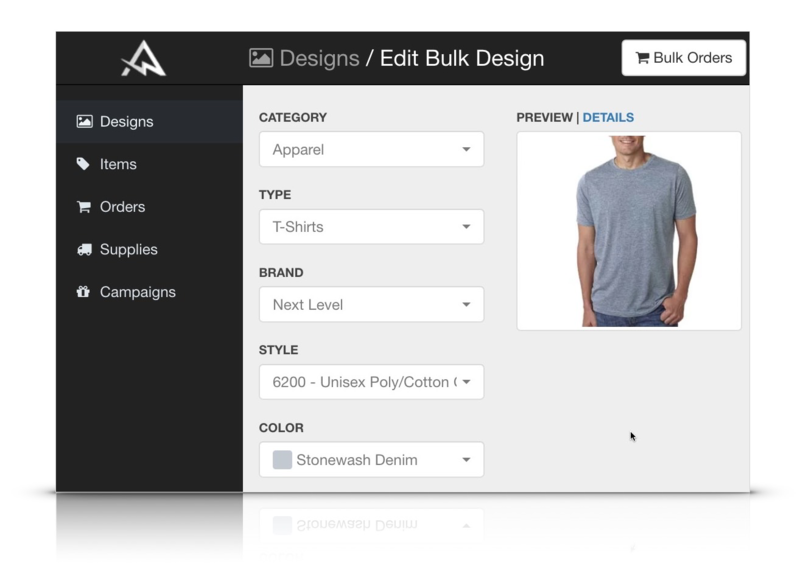 With a Bulk Design created, you will now be able to place a Bulk Order. Click +Bulk Order to begin. Supply the Quantities of each size. Please note that if this job is going into your inventory at Amplifier, you must check FOLD/BAG/BARCODE. 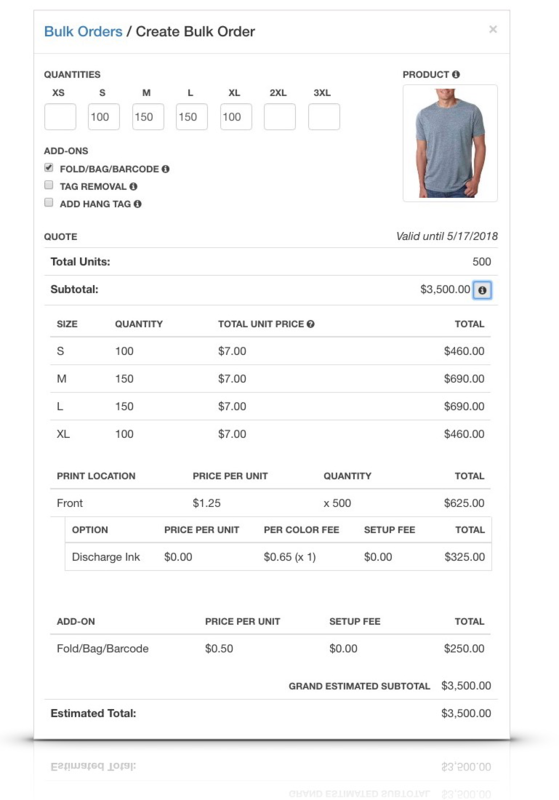 In this example, we are order 500 units across 4 sizes (S-XL) and our Per Unit finish price (for the Shirt, Discharge Printing and Folding/Bagging/Barcoding) is $7 each. 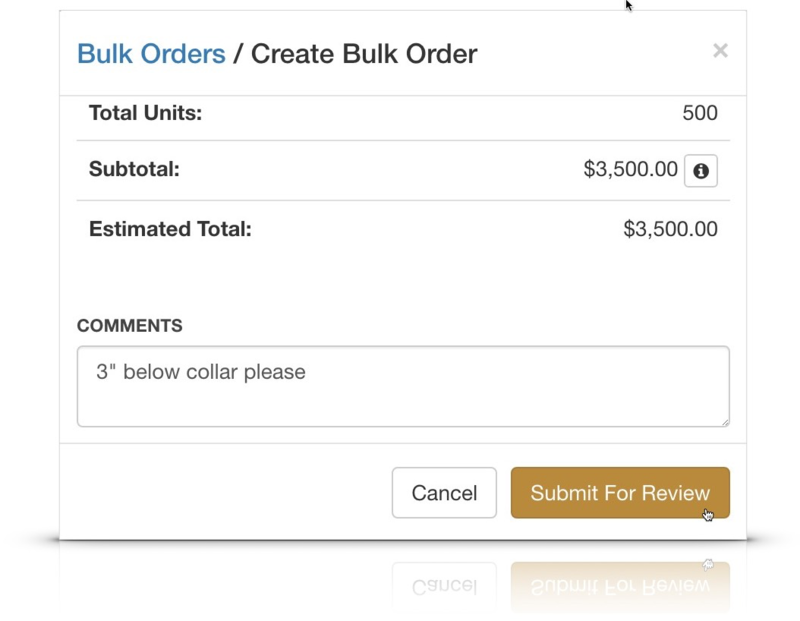 If everything looks correct, submit your Bulk Order for review.